A CNC router brings accuracy and precision to woodworking. It’s possible to create complex shapes that would be extremely difficult or impossible by hand. As well as make hundreds or thousands of parts that are exactly the same. But no matter what you make, you need to have the right bit; that’s why we created our Complete CNC Router Bit Set. Here’s a look at what’s included and how you can make the most of each bit! One of the most important bits for CNC work is a spiral downcut bit. Because it produces clean edges in the top face of a part. Spiral downcut bits directs wood chips downwards and are perfect for shallow pockets, dados, onionskin cuts, and inlays. Also, they work well at keeping parts in place for through cuts because the chips remain in the cut area and prevent the work from moving around. The included ¼” downcut bit is a versatile choice that will handle all but the most detailed work. Sometimes you may need to cut a deep mortise or pocket with your CNC router. And that’s when a spiral upcut bit is a good choice. An upcut bit pulls the chips up and out of the cut area. This keeps the bit cool and prevents snapping. *Tip: Because upcut bits produce clean surfaces on the bottom face of a part, your material should be placed on the router face down. Commercial cabinet shops often use compression bits to make parts with sheet goods and solid wood. They produce clean edges on both faces of a part and are designed for full-depth cuts. *Tip: When using bits with ¼” shanks, or routers with low horsepower spindles, make several shallow passes about 1/32” outside of the part perimeter. Then use a step-over to make a full depth pass that results in two perfectly clean faces and nice, smooth edges. 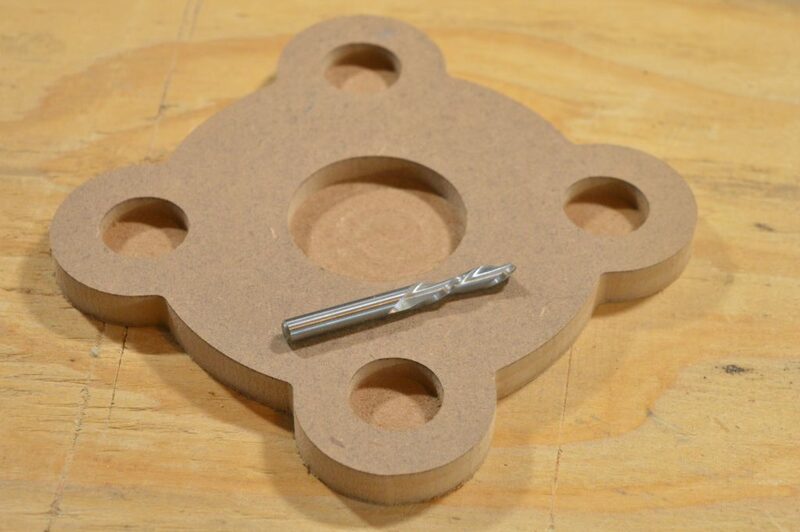 If you ever make cutting boards, fluted columns, signs or decorative work with your CNC router, a round nose bit should be in your collection. A round nose bit is exactly what it sounds like: a bit with a round end. 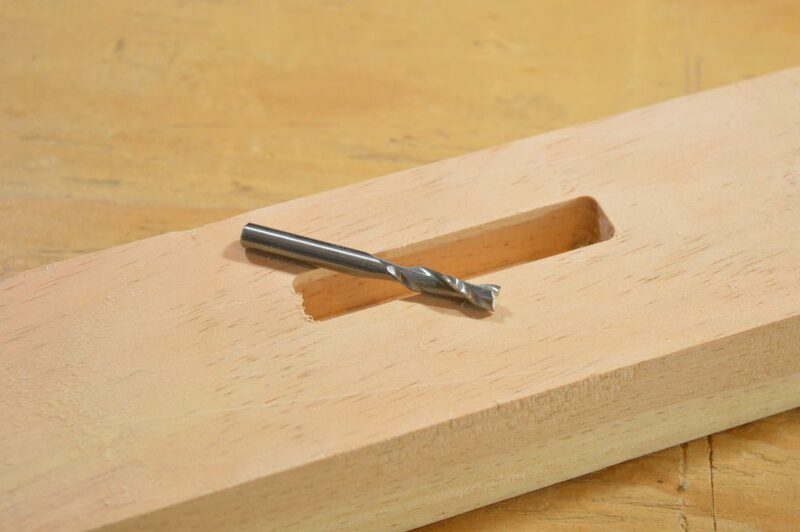 Also known as a core box bit, it works well for routing the channel in a cutting board, making flutes in cabinet frames, or creating cove profile drip edge on doors and drawer fronts. *Tip: You might want round nose bits in at least a couple of different sizes, allowing for versatile woodworking. Which is why our 8-Piece CNC Router Bit Set set includes both ¼” and 3/16″ round nose bits. 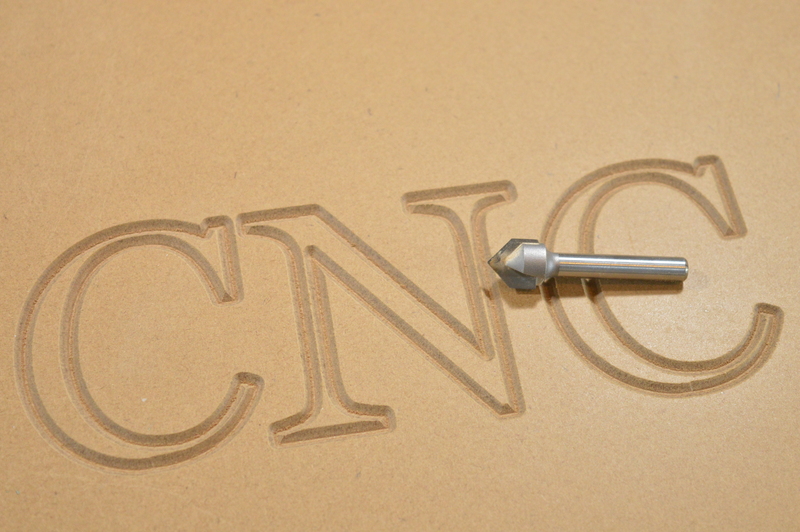 CNC routers are excellent sign making tools, and every sign maker needs a number of different V bits for lettering and detail work. A 60° bit produces nice narrow grooves, while a 90° bit makes a slightly wider groove that looks very attractive for lettering and v-groove panels. To make narrow lines, deep letters, and highly detailed images, you’ll need a veining bit. All of these bits are available with ¼” or ½” shanks. 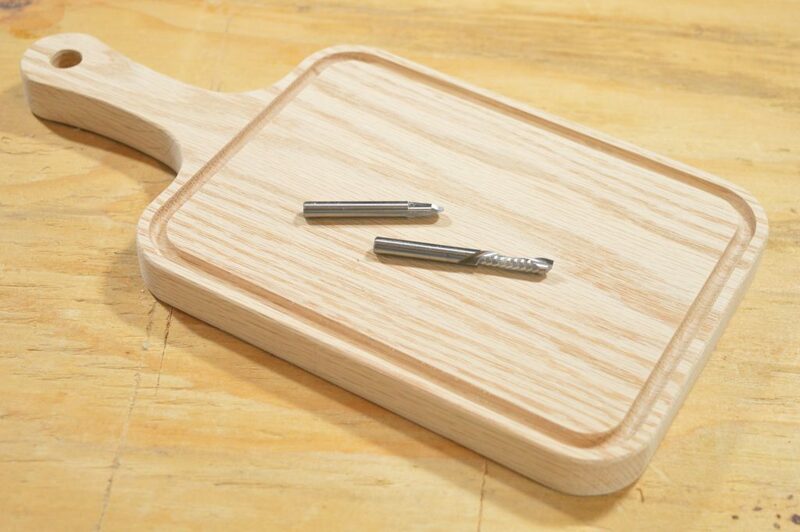 With this 8-Piece CNC Router Bit Set, you’ll be able to make just about any project you can think of. Including: signs, guitar bodies, model airplane parts, v-groove panels, jigs, templates, cabinet parts and a whole lot more… like a cutting board (which you can check out how to make here)!